See our FASKOLOR Paint Display At A Hobby Shop In Your Local Area. We have a large selection of ready to run cars from Home Set to Flexi and Drag. Replacement bodies, tires, motors. CHAMPION Racing is available here! Our line of water-based hobby paint is specially formulated for use on clear bodies of all scales and can be used for most hobby projects. See our large selection of clear replacement and upgrade bodies, decals, tires, bumpers and parts for most popular radio control cars. Upgrade your truck with a fresh body in many styles from stock to monster truck style for most popular vehicles. Many accessories too. 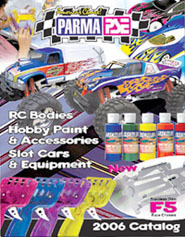 Our product lines can be found in most Hobby Shops or Slot Car Raceways worldwide. to start an account with your email and a password (make up your own password). Orders are processed each weekday at 1:30 pm EST. You will receive an email with tracking information. Our Dealers Have Fulfilled Over 15,000 Online Orders - Try It Today! Need Info? | Customer Service? | Technical Advise? 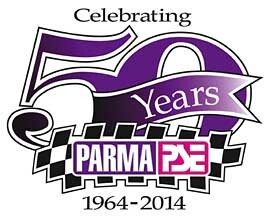 | ©2013 Parma International, Inc.